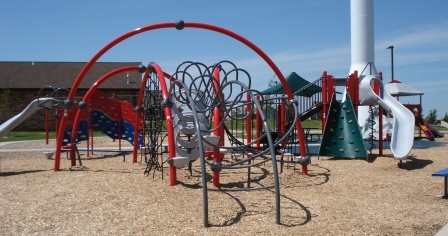 The Mount Horeb Parks and Forestry Department operates and maintains eighteen parks and related facilities throughout the Village, from small neighborhood parks to larger community-based parks with a variety of amenities. Our goal is to provide high quality, well-maintained park facilities, providing a variety of recreational opportunities and enhancing the quality of life for area residents. Grundahl Park: Located on Blue Mounds Street on the Village’s southwest side, Grundahl Park was developed in phases during the 1980’s with proceeds from the annual Summer Frolic festival. The open, octagon shelter includes electric outlets, drinking fountain, grill and can accommodate up to 200 people.There is also an enclosed, heated shelter and restroom building that can accommodate up to 50 people. Both shelters can be reserved throughout the year. Other amenities at the park include a lit ball diamond, playground equipment, basketball court, sledding hill and a community stage that supports a summer concert series. 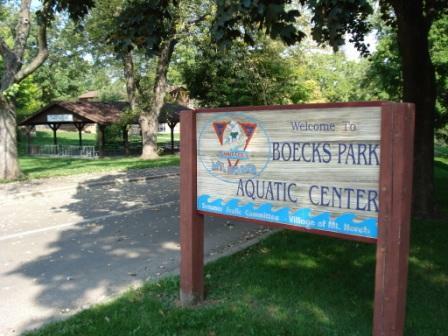 Boecks Park: Located on Park Street just three blocks north of downtown is Mount Horeb’s oldest park. The park’s main feature is the Mount Horeb Family Aquatic Center which includes a large rectangular main pool, a zero-depth wading pool, a plunge pool with an 84’ water slide and a modern bathhouse. The park also contains a reservable open pavilion with lights, electric outlets and 10 picnic tables as well as a playground and good sledding hill in the winter. Waltz Park: Located on Brian Street on the Village’s northeast side, Waltz Park includes a playground, basketball court, sand volleyball court, soccer field, ball diamond and a sledding hill. Waltz Park also has a reservable, open shelter with electric outlets, restrooms and six picnic tables. Adjacent to the Military Ridge State Trail, Waltz Park is a popular rest stop for bikers and hikers. Liberty Park: Liberty Park is located east of the Military Ridge Trail overpass on Cox Drive. Its’ main feature is a full-sized, irrigated soccer field that sees heavy use from spring through fall. The park also has a reservable shelter with electric outlets, concession area, water fountain, six picnic tables and restrooms. The park also has a small playground for the soccer player’s younger siblings. Liberty Park is also an excellent place to enjoy winter sledding. 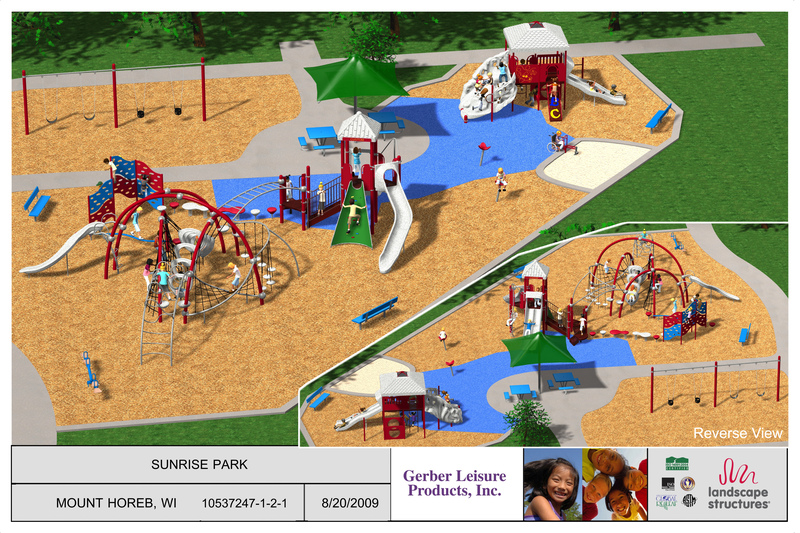 Summer Frolic Sunrise Park: Named to honor the Summer Frolic Committee’s contributions to Mount Horeb’s park system over the years, Sunrise Park is the Village’s newest community park. 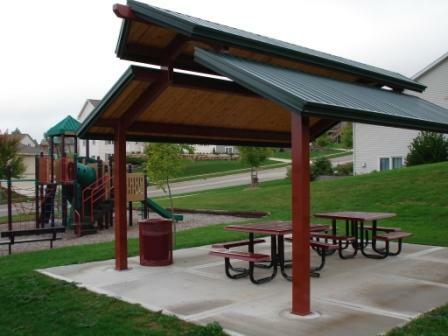 In 2011 the Sunrise Park shelter and restroom building was completed and won the “Park Design Award of Excellence” from the Wisconsin Parks and Recreation Association. The shelter includes a concession area and can be reserved for private parties. Also in 2011, the second phase of the playground equipment was installed along with a “poured in place” rubber safety surface. A beautifully landscaped seating area was donated and built next to the park shelter and several trees were planted throughout the park – all donated by Mound Vue Garden Club. 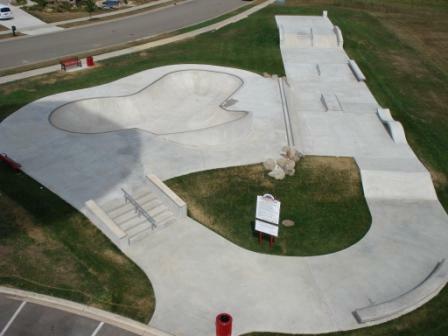 Sunrise Park also includes two soccer fields, a softball/youth baseball field, and a 9,000 square foot concrete skatepark. Future plans include a second softball/youth baseball field, expansion of the existing youth baseball field into a full-size baseball field, additional pathways and landscaping. The park is located at 119 Telemark Parkway, on the Village’s east side under the new water tower. Check out the Summer Frolic Sunrise Park Master Plan and Playground Plan. Mount Horeb Station: Located two blocks south of Main Street on S. Second Street, the Mount Horeb Station is a support facility for the Military Ridge State Trail. 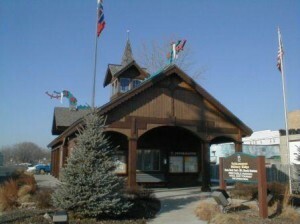 Built in 1999, this building was a joint project with funding from the Village of Mount Horeb, Wisconsin DNR, Summer Frolic Committee, Friends of the Military Ridge Trail and the Sons of Norway.The facility is currently owned by the Village of Mount Horeb and maintained by the Parks and Forestry Department. The Mount Horeb Station includes a public parking lot, heated restrooms open all year, a shelter with picnic tables, water fountain and information regarding the Military Ridge Trail and Village of Mount Horeb. 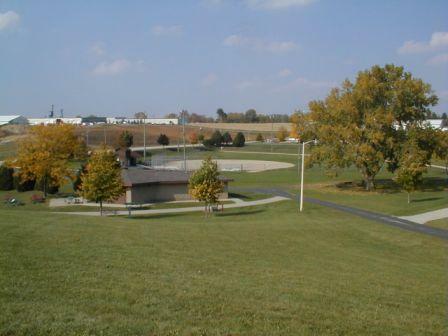 Viking Park: This park was developed in the 1970’s as a joint venture between the Village and the School District. The five-acre facility is located between the Middle School and the Intermediate Center and includes 4 lit tennis courts, a basketball court and a softball/youth baseball field. Duane R. Hofstetter Conservation Park: In 2011 the Village’s only conservation park was named to honor Duane Hofstetter’s contributions to the Village of Mount Horeb, including 31 years as Parks, Recreation, and Forestry Commission Chairman, and 28 years on the Village Board. The 26-acre park at the end of Glen View Road on the Village’s south side consists of open grassland and wooded areas. The Parks and Forestry Department currently maintains some mowed walking trails. Local groups such as the Boy Scouts and high school classes have done a lot of work to control invasive species and encourage native vegetation. Future plans include establishing prairie areas, continuing to control invasive species, and expanding the trails throughout the park. 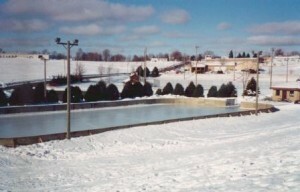 Ice Skating Rink: The Parks and Forestry Department establishes and maintains Garfield Park ice skating rink during the winter months. This rink is mostly for general ice skating but does have open hockey on Wednesday evenings. This rink has lights and a warming shelter. For information on ice conditions, call the Parks and Forestry Department at 437-7190. For warming house hours, please call the Recreation Department at 437-3400.